Through the life stories of highly successful people, this book uncovers a common formula in the parenting that extraordinary achievers experience beginning in early childhood. We all want our children to reach their fullest potential―to be smart and well adjusted, and to make a difference in the world. We wonder why, for some people, success seems to come so naturally. This book unveils how parenting helped shape some of the most fascinating people you will ever encounter, by doing things that almost any parent can do. You don’t have to be wealthy or influential to ensure your child reaches their greatest potential. What you do need is commitment―and the strategies outlined in this book. 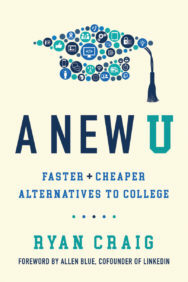 Informed by hundreds of interviews, the book includes never-before-published insights from the “How I was Parented Project” at Harvard University, which draws on the varying life experiences of 120 Harvard students. 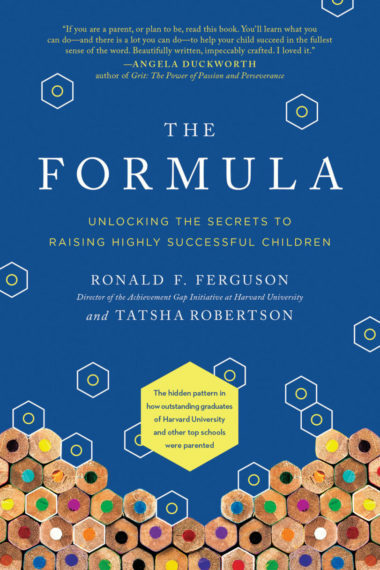 Ferguson and Robertson have isolated a pattern with seven roles of the “Master Parent” that make up the Formula: the Early Learning Partner, the Flight Engineer, the Philosopher, the Fixer, the Model, the Negotiator-Counselor, and the GPS Navigational Voice. The Formula combines the latest scientific research on child development, learning, and brain growth and illustrates with life stories of extraordinary individuals―from the Harvard-educated Ghanian entrepreneur who, as the young child of a rural doctor, was welcomed in his father’s secretive late-night political meetings; to the nation’s youngest state-wide elected official, whose hardworking father taught him math and science during grueling days on the family farm in Kentucky; to the DREAMer immigration lawyer whose low-wage mother pawned her wedding ring to buy her academically outstanding child a special flute. The Formula reveals strategies on how you―regardless of race, class, or background―can help your children become the best they can be and shows ways to maximize their chances for happy and purposeful lives. Ron’s current focus as AGI director is an initiative titled the Boston Basics. Inspired by the fact that birth-to-three is a critically important period for learning, the Basics Campaign is striving to saturate the entire community with advice and support for the parents of infants and toddlers. Ron holds an undergraduate degree from Cornell University and a PhD from MIT, both in economics. He has been happily married for 38 years and is the father of two adult sons. Former magazine editor Tatsha Robertson is an award-winning editor and writer with more than twenty years of experience handling investigative, feature, and news stories for leading magazines and newspapers. As the first female NYC Bureau Chief and National Rover for The Boston Globe, she covered some of the nation’s largest stories, including Katrina, September 11th, and other major crime stories. She pioneered Essence magazine’s focus on investigative and news articles, which led to the positioning of the magazine as a significant authority and voice on news and led to an interview with President Obama. Most recently, she was the crime editor at People Magazine. Robertson is a frequent guest on national media, appearing on programs like The Today Show, CNN, HLN, FOX, and MSNBC. Tatsha currently teaches journalism as an adjunct professor at NYU. Dimensions: 6 x 9 x 1.5 in.